Lower left second bicuspid and first molar root canal treatment with M-Two system. 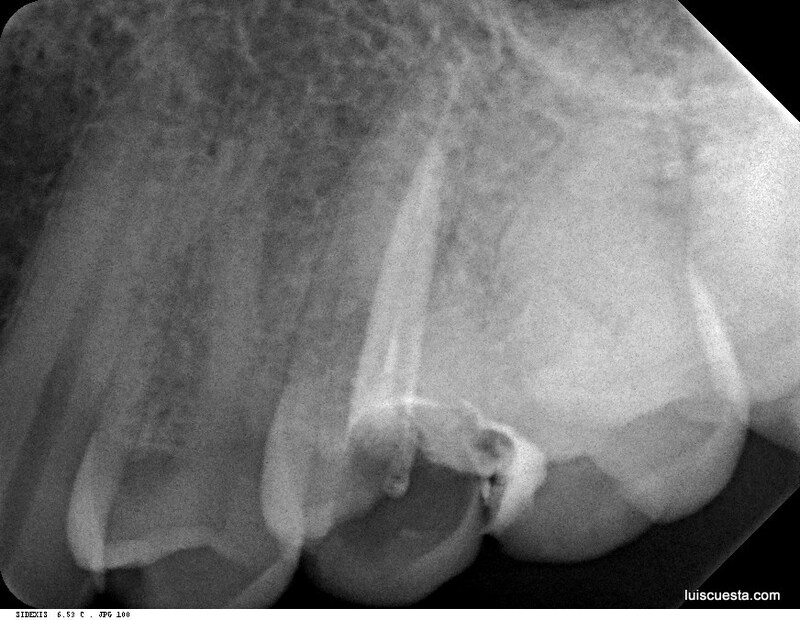 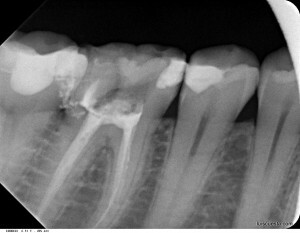 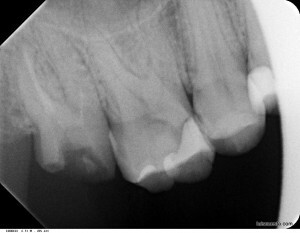 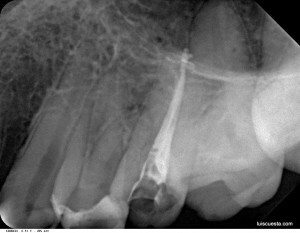 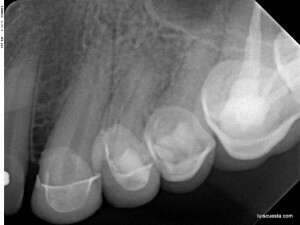 Notice the lateral canal, mesial of the apex of 35.
lower left second molar root canal treatment with M-Two system. 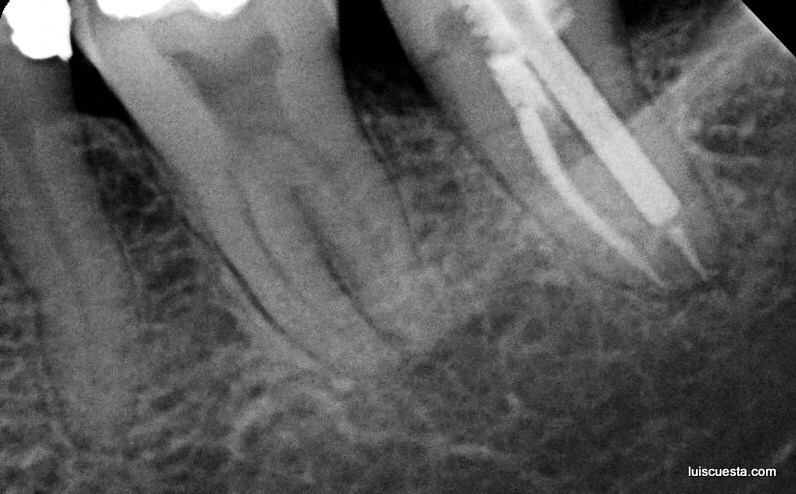 Three canals. 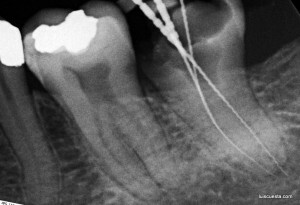 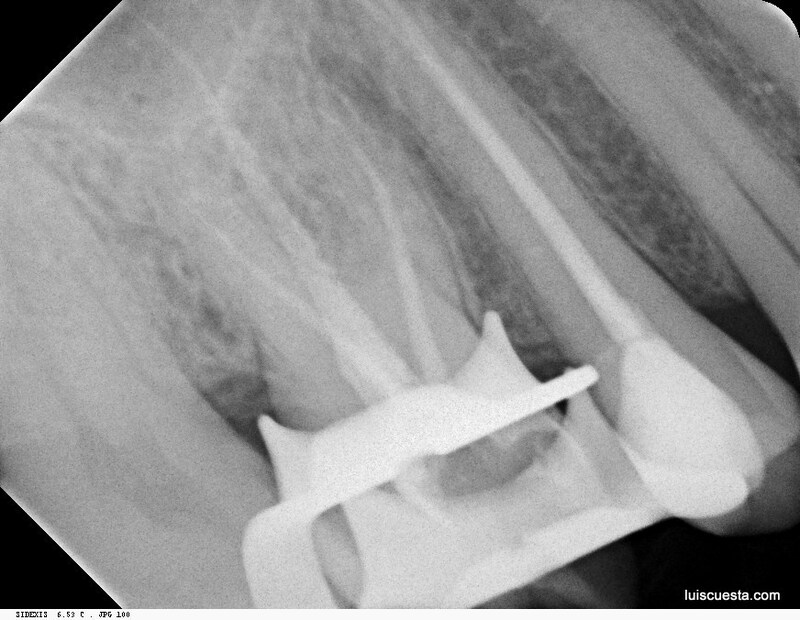 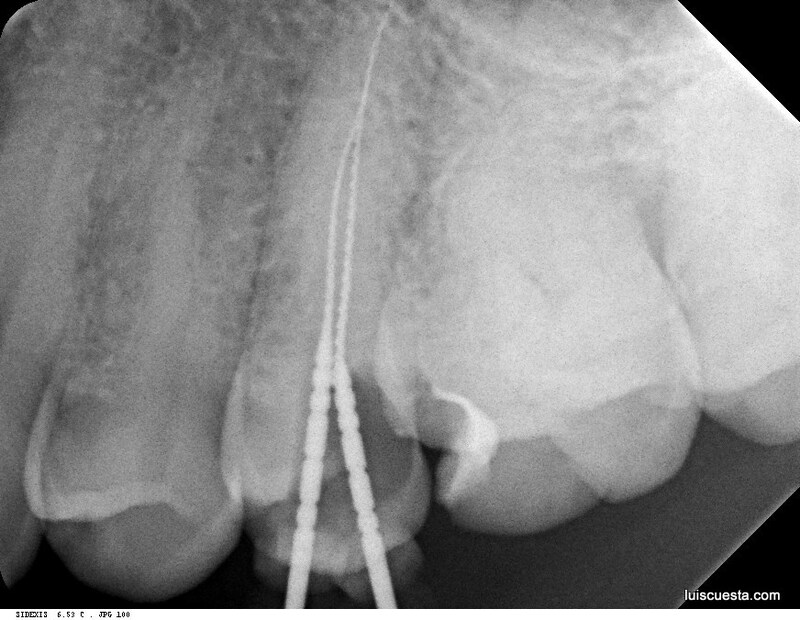 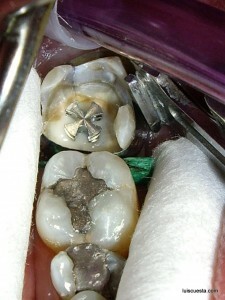 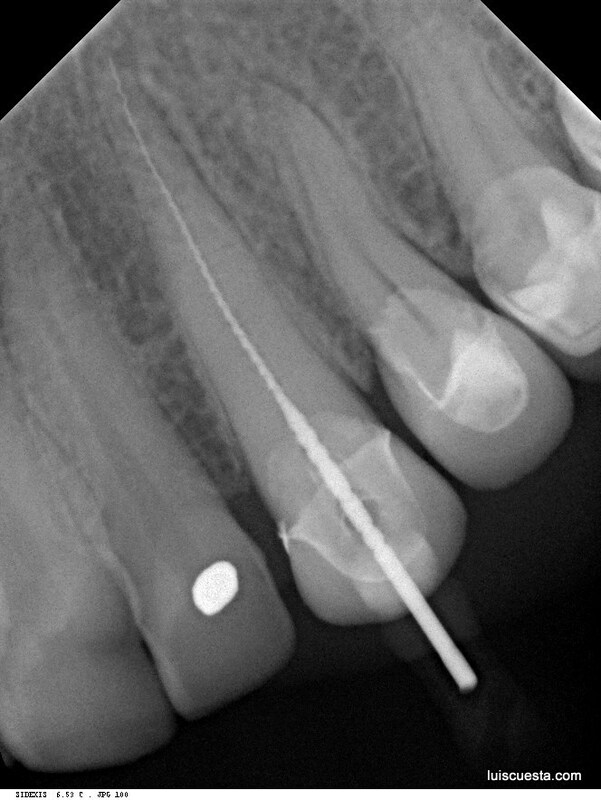 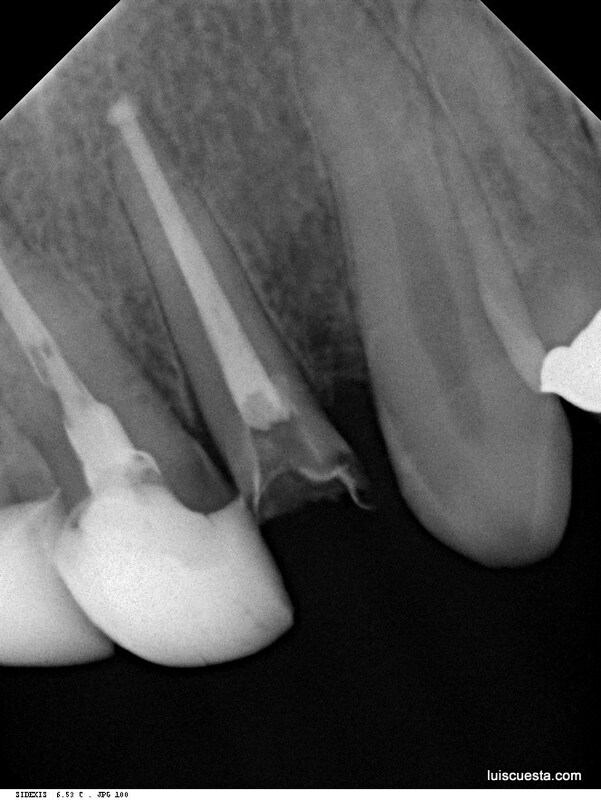 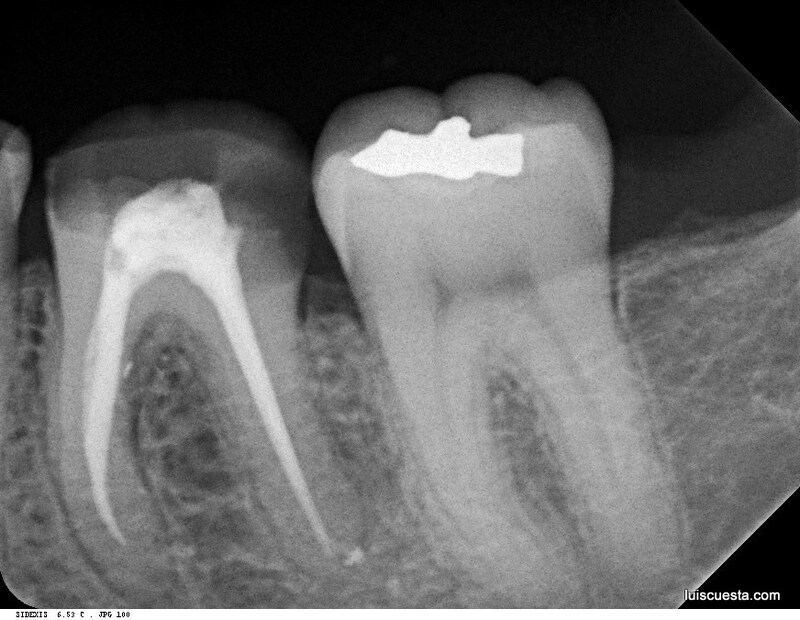 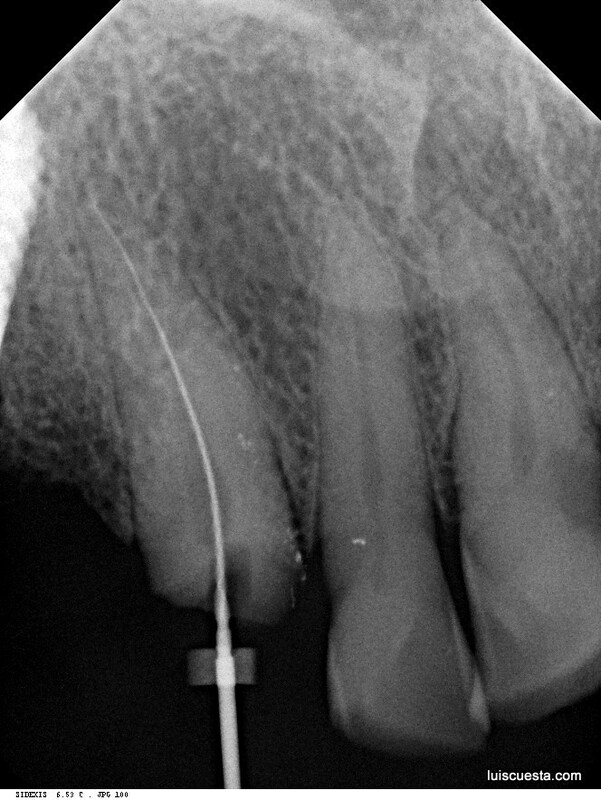 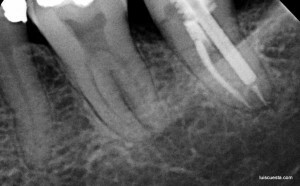 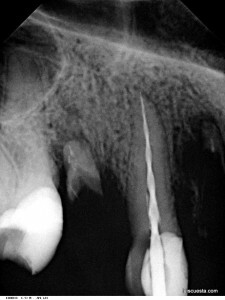 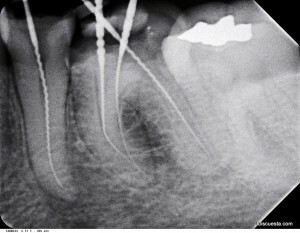 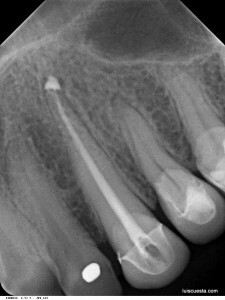 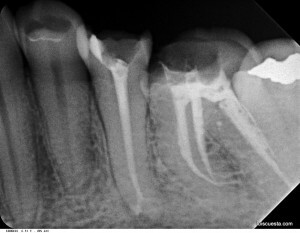 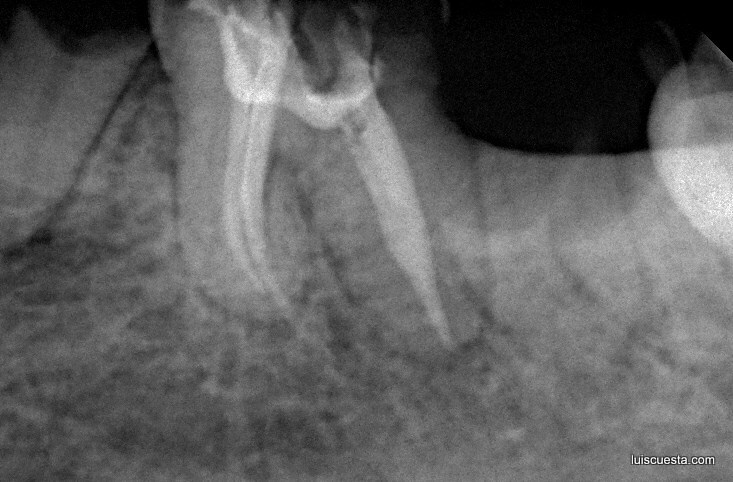 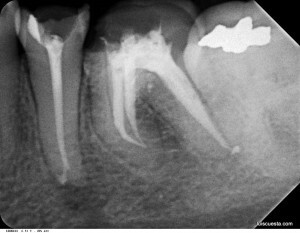 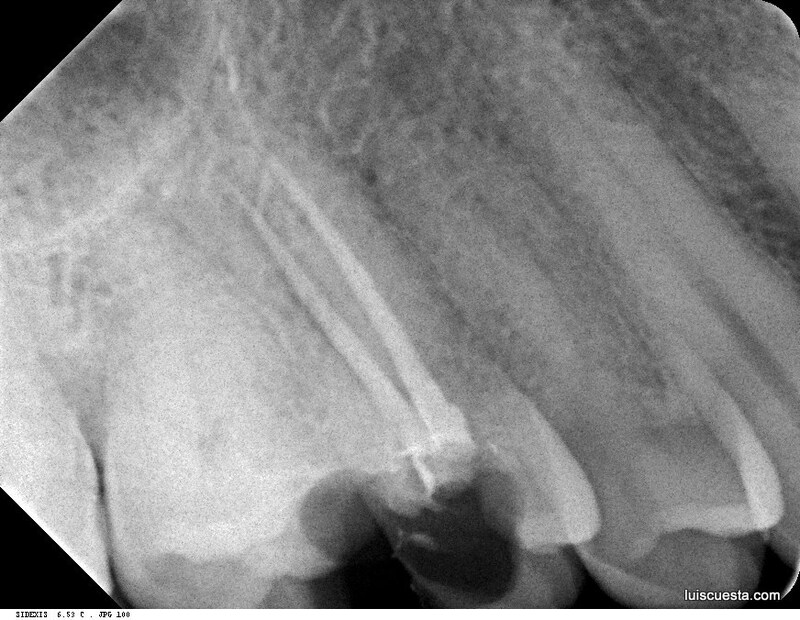 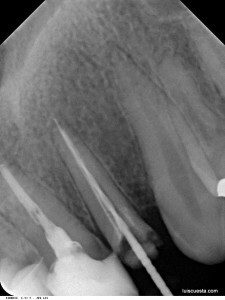 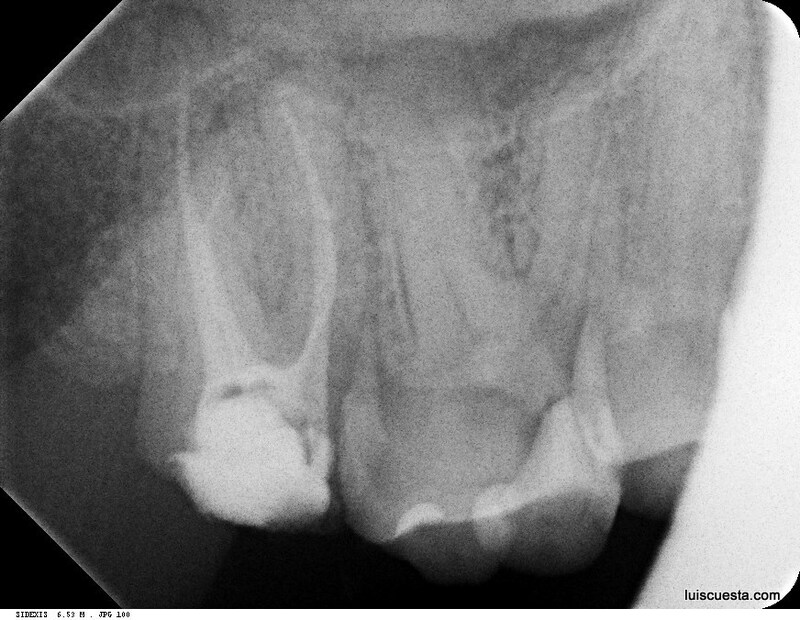 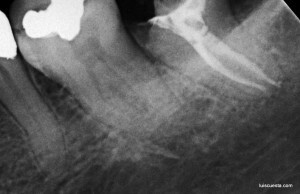 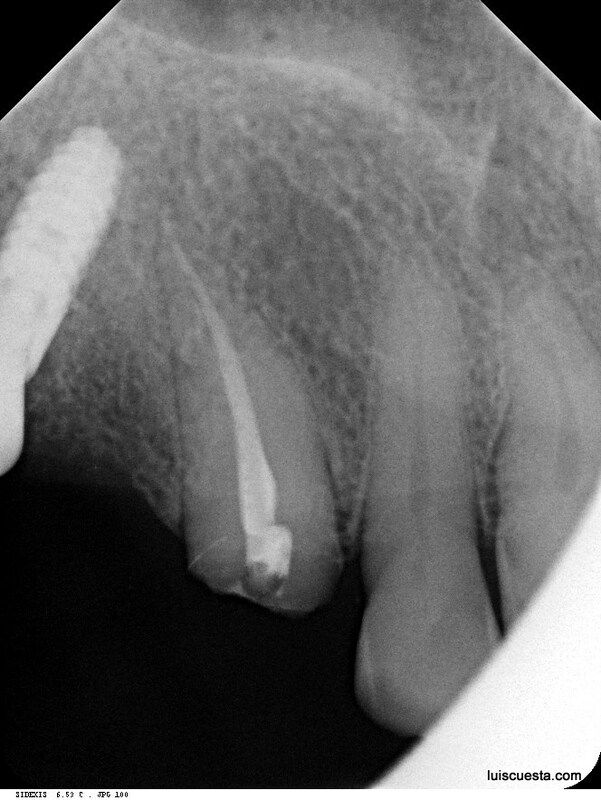 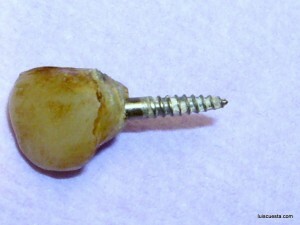 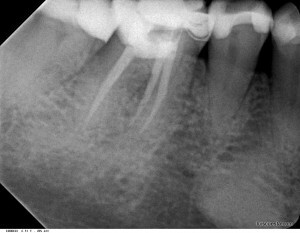 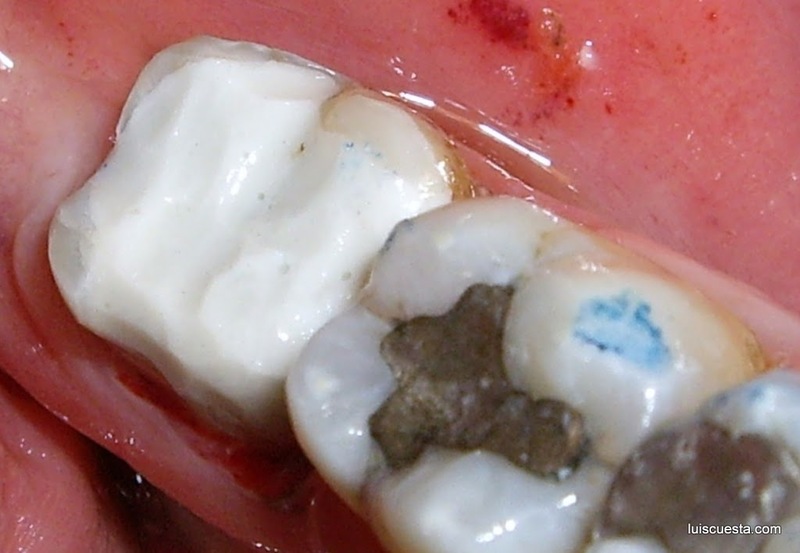 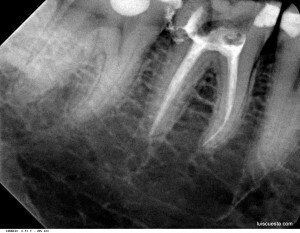 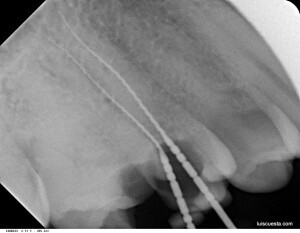 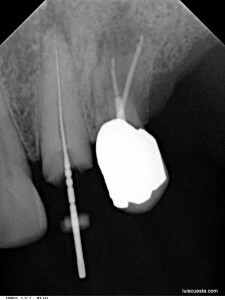 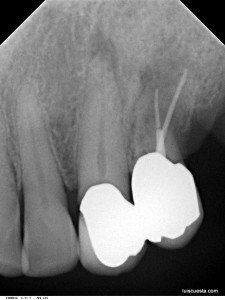 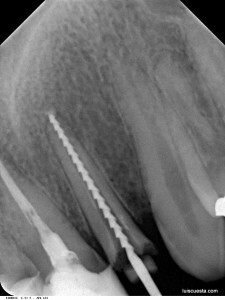 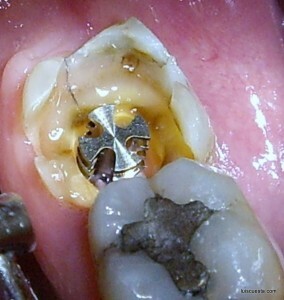 Radix-Anker root post to reinforce the crown structure and temporary filling. 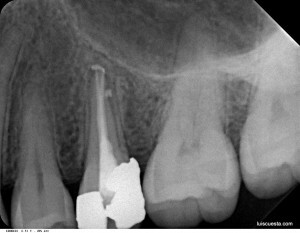 Lower left first molar root canal treatment with M-Two system. Four canals, the distal ones converging at the root apex. Lower right first molar root canal treatment with M-Two system. Four canals, the distal ones converging at the root apex. 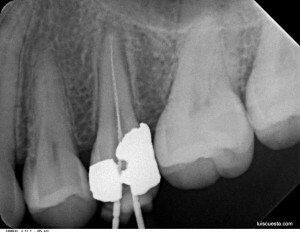 Lower right first molar root canal treatment with M-Two system. 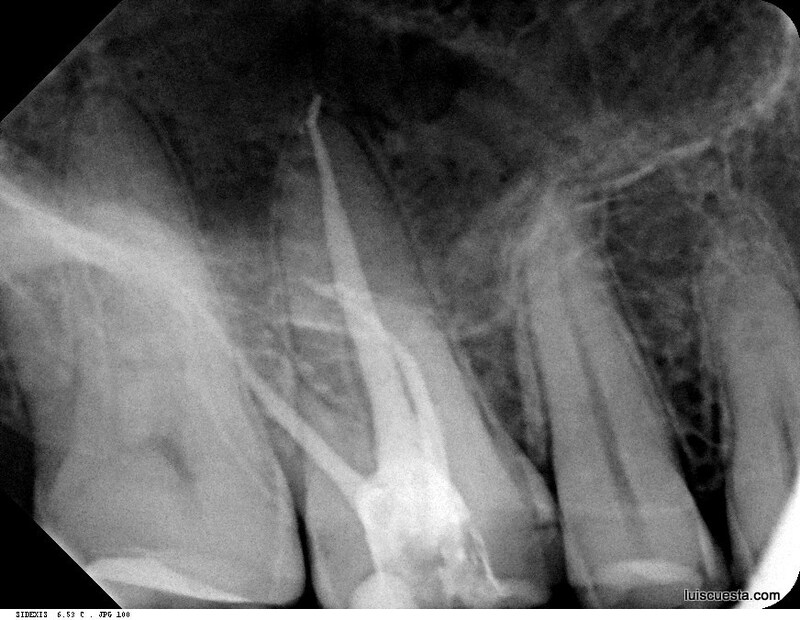 Three canals. Upper right first molar root canal treatment with M-Two system. 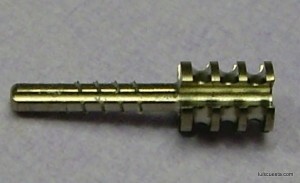 Three canals. 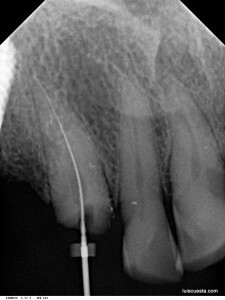 Upper right second molar root canal treatment revision with M-Two system. 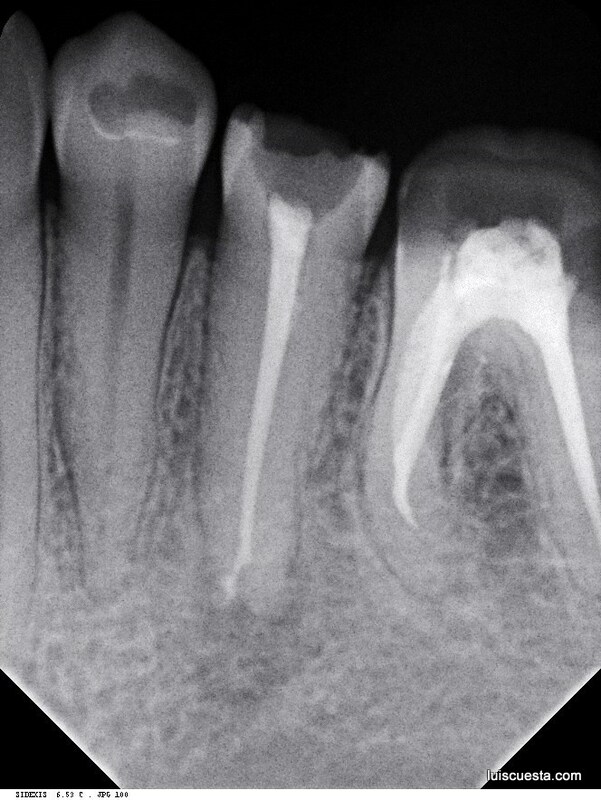 Three canals. 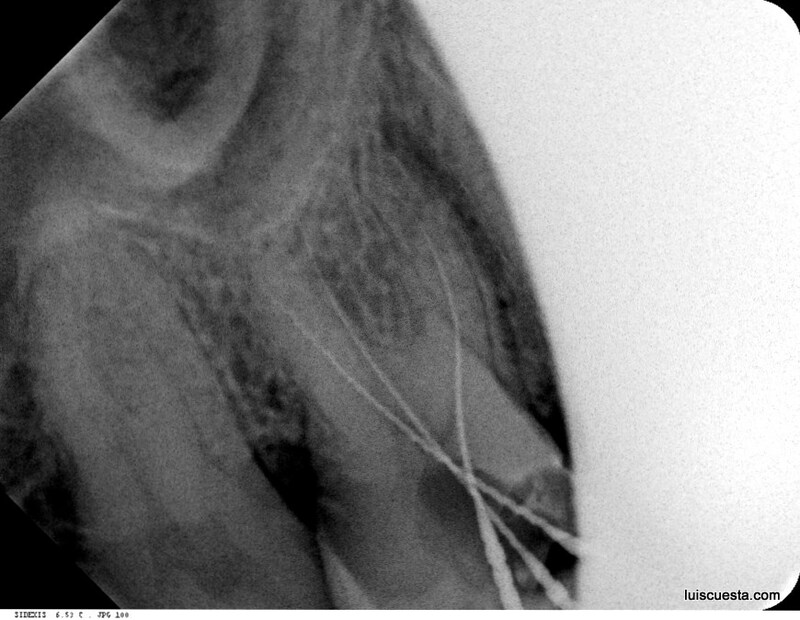 Upper right second bicuspid root canal treatment with M-Two system. 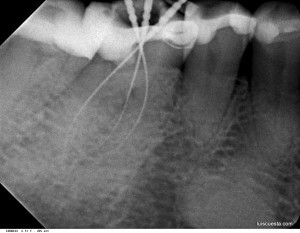 Two roots and separate exits. Upper left second bicuspid root canal treatment with M-Two system. 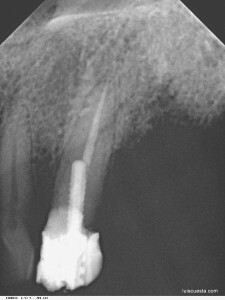 One thick root with two exits. Upper right first bicuspid root canal treatment with M-Two system. 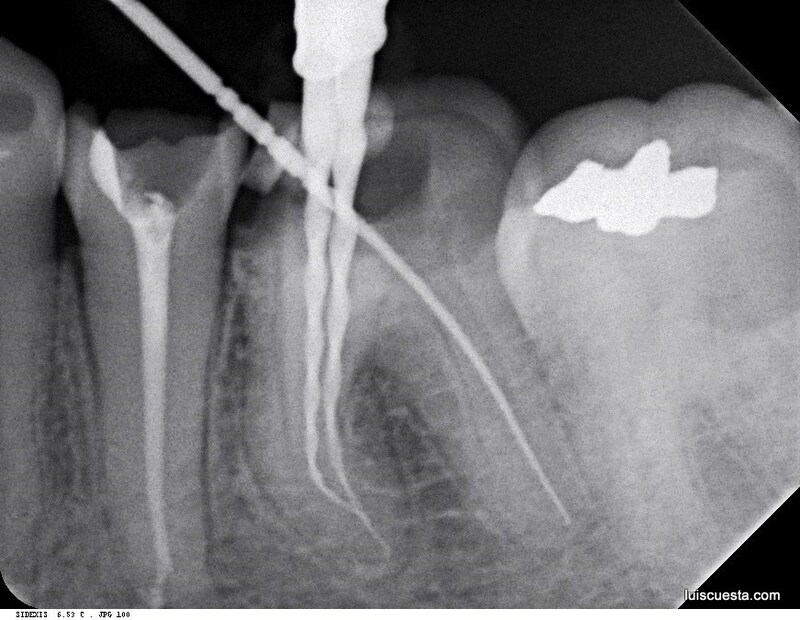 One root, one exit. 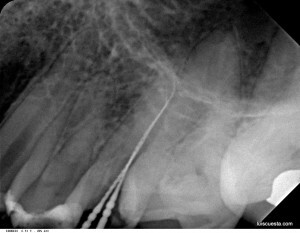 Upper left second bicuspid root canal treatment with M-Two system. 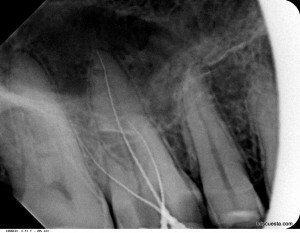 One root, one exit. 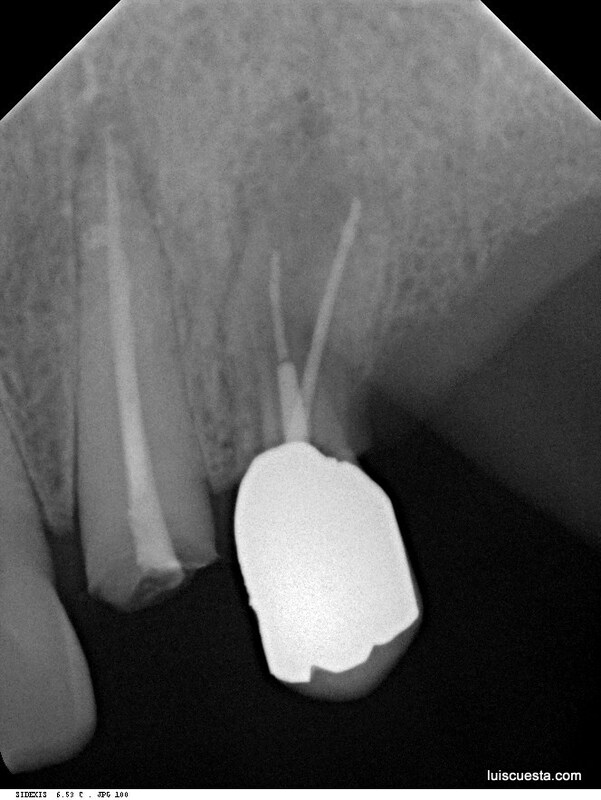 bicuspid and molar root canal treatment with M-Two system. 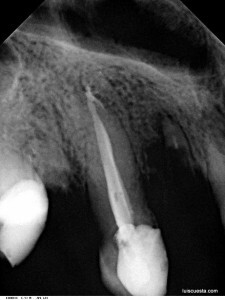 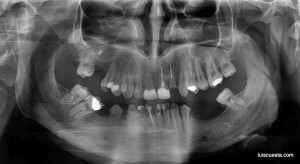 Upper left cuspid with external apical resorption. 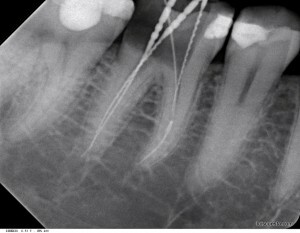 Root canal treatment with M-Two system. 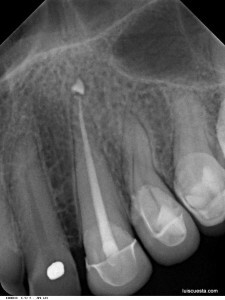 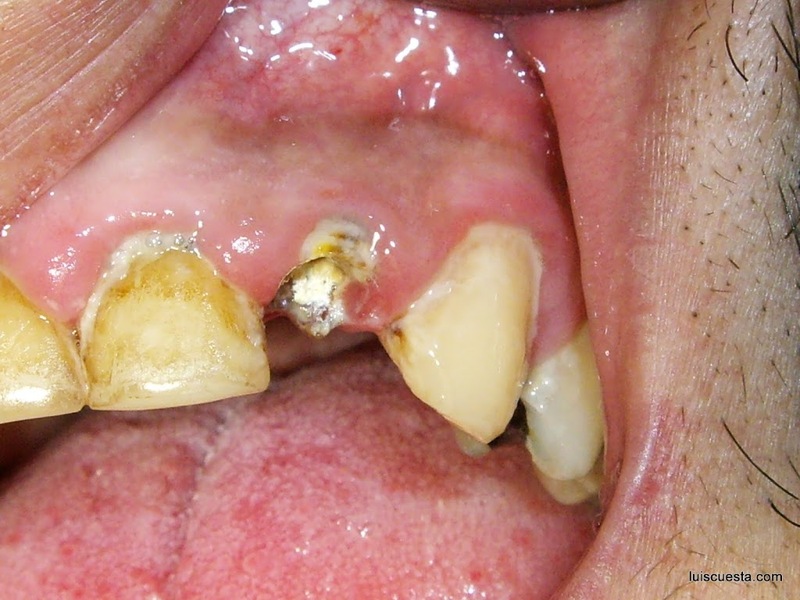 Upper left lateral incisor with long-tern defective root canal treatment. 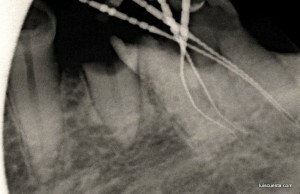 Revision with M-Two system.